Bead Table Wednesday And Sneak Peak! 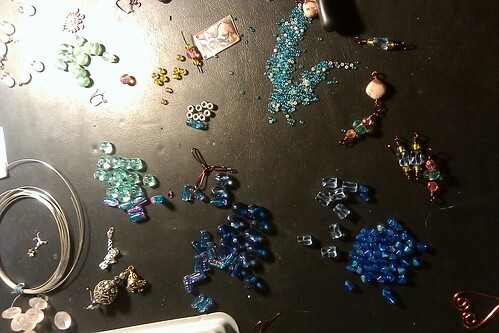 I really enjoy getting back into beading and this Bead Soup Blog Party have really thrown my creativity into high gear along with the Bead Table Wednesday posts. 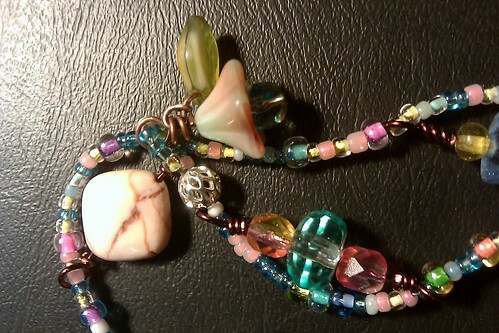 My swap partner, Shannon @ For My Sweet Daughter bead soup really has stretched me outside my usual zone. But I have been having so much fun playing with these beads. Now, I just have to finish in time… hahahaha!